Karen Laura-Lee Wilson, author of Finding a Sense of Self. Now living in Tasmania, author Karen Laura-Lee Wilson spent her formative years in New Zealand until age five, then the family moved to Australia. 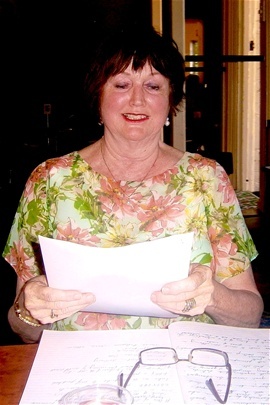 After Karen gained a Bachelor of Arts degree from Queensland University in 1967 she went on to become a registered librarian working in various libraries in that state, until she and her husband and family moved to Tasmania in 1974. 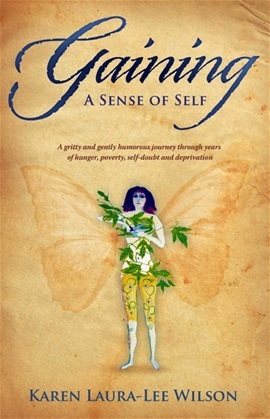 Gaining a Sense of Self, Karen's autobiographical account of her formative years, was originally published by Sid Harta Publishers Pty. Ltd., in 2011. Finding herself living in Australia after spending her first five years in New Zealand where she had been born, Karen Laura-Lee's life would take many twists and turns. Events would be instigated by those whose power was greater than hers, leaving her bewildered and unsure of her place, or of the situations in which she found herself. Over the course of her life, when her emotional self was in utter chaos, and the answers to perplexing questions were seemingly unattainable, she finally found the courage and strength to put her story to the page. Thus came her unembellished account of her first twenty-five years. With help, she discovered along the way, that it had been the chaos in which she had found herself embroiled all those years ago was what had been bringing such devastation to her. This knowledge would be the key to Gaining a Sense of Self. Writing her story gave Karen a new sense of freedom and release from aspects of her lifelong emotional burden.